Dr. Kathryn Atchison is UCLA's vice provost of Intellectual Property and Industry Relations and a professor in its School of Dentistry. She works with dental faculty and students to transition research ideas into physical products that benefit the public, such as techniques that enhance the bone-bonding capacity of dental implants and peptides that eliminate oral bacteria. She loves her job because it blends teaching, research and dental public health. Kathryn attributes her success to persistence and preparation, allowing her to respond  not just react  to situations. Most important were "bursts of intuition" that helped her seize opportunities outside her comfort zone, such as her current vice provost role. Kathryn received her D.D.S. from Marquette in 1978 and master's degree from Boston University School of Public Health in 1982. As a dental student, she embraced Marquette's values of excellence, faith, leadership and service. Her favorite Marquette memory was working at the Special Patient Care Clinic, where a mentally challenged patient responded joyfully to the care she received. After graduation, Kathryn taught oral radiology for two years at Washington University in St. Louis. In 1984, she was selected from a nationwide competition to participate in a Robert Wood Johnson Dental Health Services Research Fellowship at UCLA. 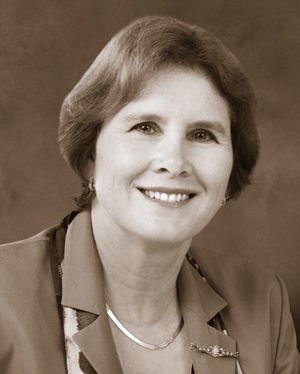 She joined the faculty in 1987. As a nod to what she learned at Marquette, Kathryn developed an ethics course for UCLA's dental curriculum and, as president of the American Association of Public Health Dentistry, helped formulate a code of ethics. She also represented the AAPHD on a delegation formed by the Alaska Tribal Council to examine access issues for tribal communities; co-authored a World Health Organization report regarding care for Asia's elderly; and launched a program at UCLA to provide dental care to the homeless in Santa Monica, Calif. Her favorite place on campus to study, socialize and relax with friends: She wishes they would have had the new union when she was in school!